PARIS, France - In a shocking shooting incident that led to the entire eastern French city of Strasbourg to be placed under lockdown on Tuesday, a gunman opened fire, killing two people and leaving 11 others seriously injured. The incident occurred at Strasbourg's globally renowned Christmas market just before 8 pm on Tuesday. According to the Strasbourg police, a lone gunman struck in different places around the city centre - where the market is taking place, before fleeing the scene. Describing the chaos from the scene, witnesses told investigators that the shooting lasted about ten minutes, adding that the gunman fired the first series of rounds near the market around 8 pm, after which he opened fire again, a few meters away. The gunman, who is said to have opened fire at a time when the market was packed, left two people dead and 11 others with critical injuries. The French Interior Ministry confirmed the two fatalities and said that a manhunt had been launched for the gunman. The shootout triggered as massive security operation in the area, with the police reportedly asking people in the city's Neudorf area and Etoile park to stay indoors. 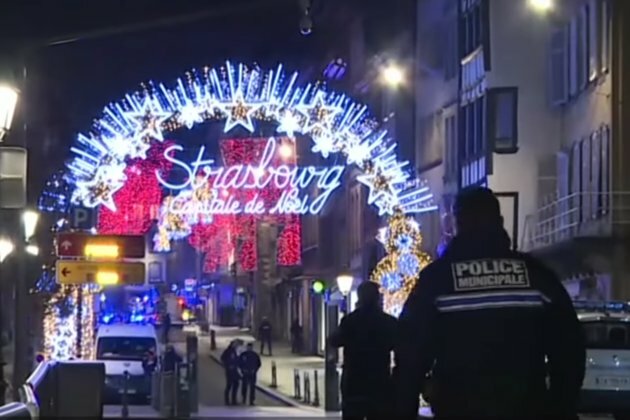 Officials said that they first placed the Strasbourg's Christmas market under lockdown, but the same orders were passed for the entire city as the police tried to hunt down the suspect. Police teams armed with machine guns took to the streets, trams were stopped and civilians were forced to hide out inside bars and restaurants. Hours after the shootout, the French Interior Minister Christophe Castaner said that the suspect, who fled the incident had been identified and caught after being on the run following the incident. The Minister added that the suspect was known to the local police for his criminal record. A spokesperson for the French counter-terrorism prosecutor said that a team was monitoring the situation in the eastern French city. Further, the Strasbourg prosecutor declared the incident to be terrorist-related and said that an inquiry had been opened into assassination and an attempted assassination." Meanwhile, the French President Emmanuel Macron said that the country's Interior Minister had been dispatched to Strasbourg to deal with the incident. Strasbourg's Christmas market attracts millions of tourists from across the world every year. Some local reports noted that one of those seriously injured in the incident was a tourist who was hurt in the stomach. However, so far, officials have not revealed the names or details of the victims. Commenting on the incident, Sinn Fin politician Martina Anderson, a Member of the European Parliament representing Northern Ireland, said on Twitter, "We were in the centre of Strasbourg town when gunshots went off. My thoughts & prayers with all who are injured." France has been on high alert following terrorist attacks in 2015 and 2016.